Property 7: Kona Cottage w/Lanai & Ocean Views on Coffee Farm! Property 10: Great value. Private tropical farm. Convenient location! Property 12: Hulili Tropical Fruit Farm- Let our 160 FIVE STAR REVIEWS tell the story! Property 20: Exotic Orchard On Ocean Cliff! Waterfall/ Ocean View Takes Your Breath Away! Property 21: 'We Loved This Romantic Getaway for Two !' - Testimonial. Property 32: UNIQUE, SECLUDED, PEACEFUL, AFFORDABLE! 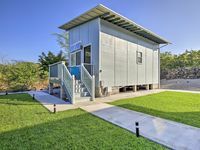 Property 36: Oceanfront Nature Retreat- Special Summer Rates! 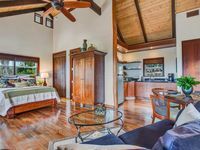 Property 49: Kailua-Kona Cottage -0.7 Mi to Magic Sands Beach! We loved our stay in this sweet cottage. It's super private (down a quiet street) but also convenient to everything. Short walk to the magic sands beach was great, plus there's a $2 trolley that will take you from the beach up to restaurants and bars. The new cafe next to the beach, Magics, has good food and sunset views.